Disgraced gridiron great O.J. SIMPSON was beaten unconscious in a brutal prison yard attack, The ENQUIRER has learned exclusively. Inmates cheered as a muscular young skinhead knocked him to the ground, punching and kicking him to a bloody pulp and inflicting injuries so severe he secretly spent nearly three weeks in the infirmary before he recovered. 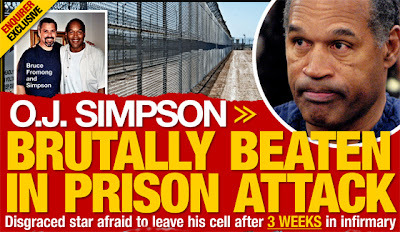 The humiliating beating left 63-year-old Simpson in agony - and threw him into a spiral of depression so deep that he's now afraid to venture out of his cell, divulge sources. Embarrassed by the fact that their most famous inmate was battered while in their custody, prison authorities have done their best to keep the incident secret. 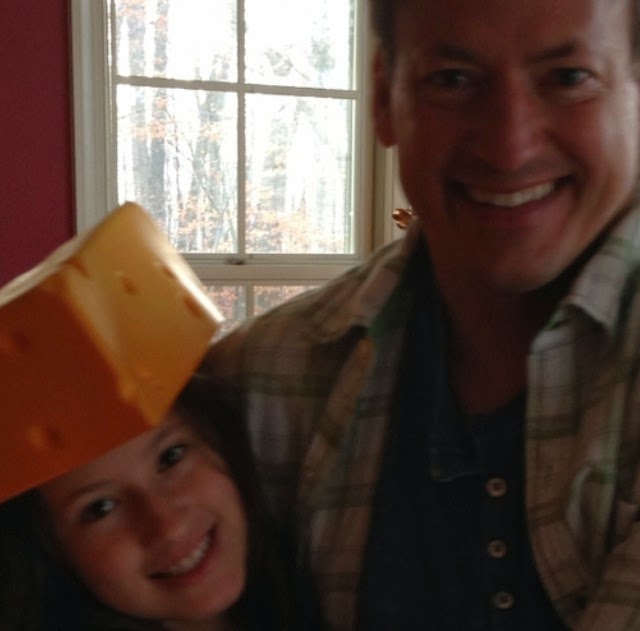 But The ENQUIRER has obtained the full, shocking details of the vicious pounding. The battle erupted at Nevada's Lovelock Correctional Center, where Simpson is serving at least nine years for his role in an armed confrontation with sports memorabilia dealers in Las Vegas in September 2007. Unknown to the former NFL star, The Juice has been a marked man behind bars ever since white supremacists overheard him brag about his sexual conquests of beautiful white women. "Unfortunately for O.J., a group of young skinhead punks were within earshot - and they were enraged," Simpson's former business partner Bruce Fromong told The ENQUIRER in an exclusive interview. "They waited for a day when he would be in the exercise yard without his usual posse of black prisoners. "O.J. was completely unprotected when one of the toughest of the skinheads - who's in his mid-20s - jumped him." The ex-athlete suffers from arthritis and gimpy knees, which have left him with very little mobility. The attacker was much stronger and threw all his force into the brutal ambush, according to Fromong. "The skinhead rained blows on O.J. 's head, shoulders and upper body - and continued to punch him savagely after he fell unconscious to the ground. He was covered in blood from deep cuts on his face."